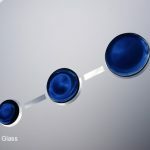 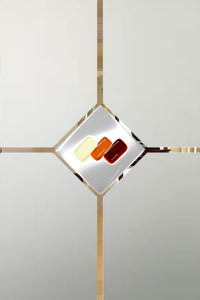 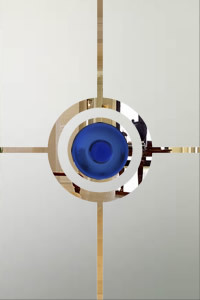 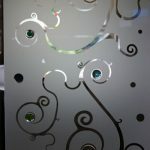 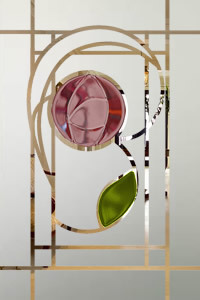 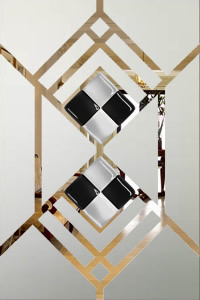 All of the Fused Glass panels shown here are design for small panels as found in table style doors. 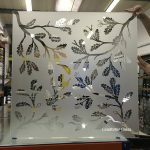 The glass designs are pictured using a glass size of 200mm wide by 300mm high so this is approximately the size of an A4 sheet of paper. 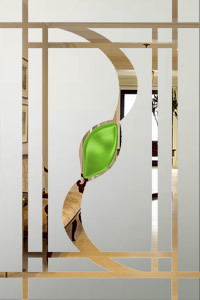 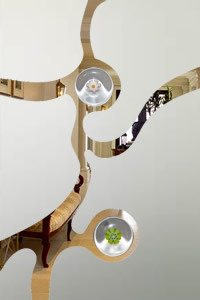 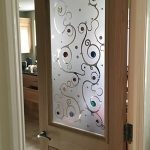 The designs are all shown using an etched glass background with clear glass areas. 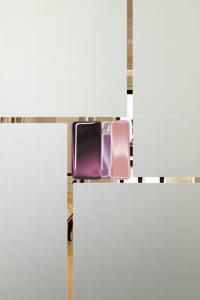 The fused tiles are the only coloured areas of the designs. 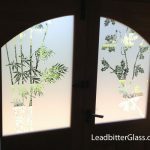 The designs can be ordered using any of our Fused Glass Tiles in almost any colour as we make these tiles in-house in our Northamptonshire studio. 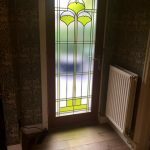 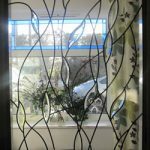 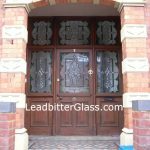 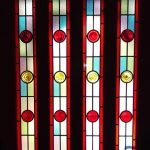 As with all glass supplied by us, you can order the glass in single glazed toughened glass or double glazed units for extra thermal efficiency. 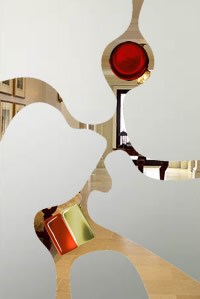 Due to the manufacturing process of fused glass tiles, these designs cannot be made with laminated glass.